Can I set up a map and get crowd-source location information from other users? 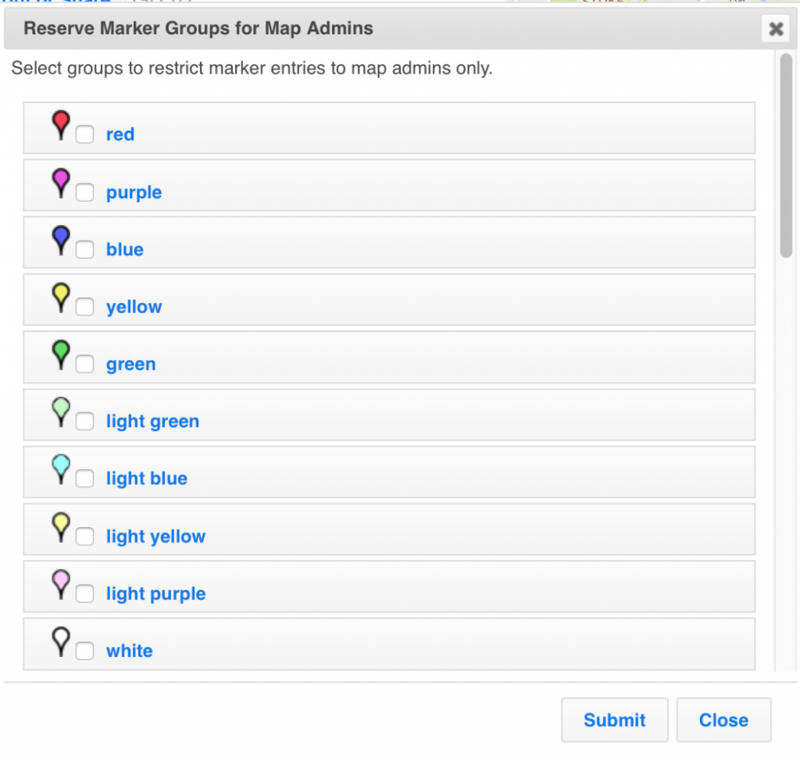 Here, you can assign: an Admin key for administering the map; a Member key for your group members to add markers; and a Viewer key to allow users read-only access. How do I invite others to add locations to my map? 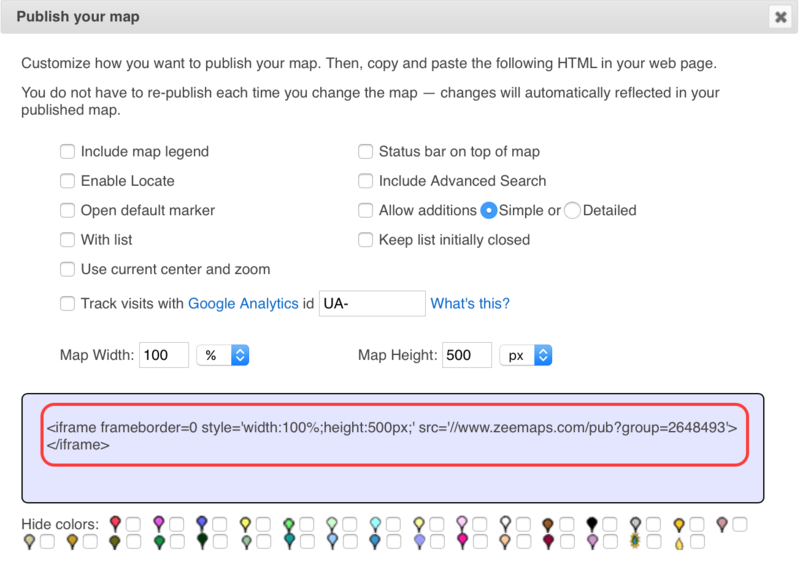 If you would like to add the map to your website for people to add entries, select ‘Print or Share’ then ‘Publish in Website’ from your map menu. You can customize various options. Make sure you check the box for ‘Allow additions’ and choose ‘Simple’ or ‘Detailed’ to get an ADD button on the published map. Then copy and paste the HTML that is generated into your web page. If you do not have a website on which to publish the map, select ‘Print or Share’ then ‘Share Link/URL’ from your map menu. You can then email the URL to the people you’d like to share it with.